Rivière-du-Loup, February 8th, 2019 – Just as Las Vegas and many other American big cities, we are proud to announce that Rivière-du-Loup will be hosting its first ever round of the Street Super Karting Cup (SKCC) from July 25th to July 28thh, 2019. 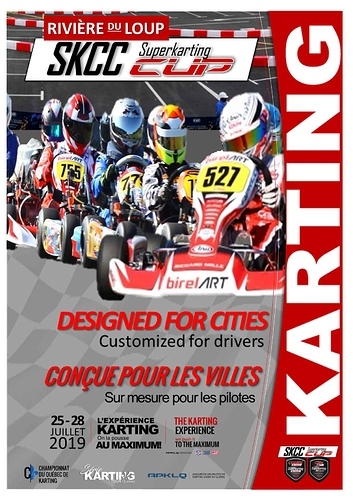 During this exciting sporting event, close to 150 pilots from Quebec, Ontario, New-Brunswick, and the United States will line up on the starting grid. To top it off, many prizes, trophies and gifts will be awarded to the pilots that shined not only by their performance, but also by their remarkable sportsmanship. 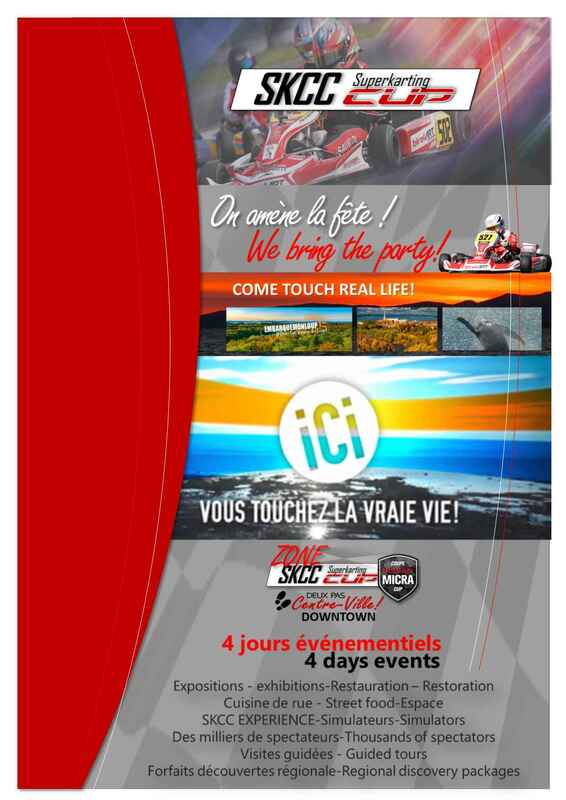 Let’s just take, for instance, the “Volant Nissan” (Nissan Steering Wheel), which will provide the wining pilot of this award a free pass the Trois-Rivières Grand Prix. 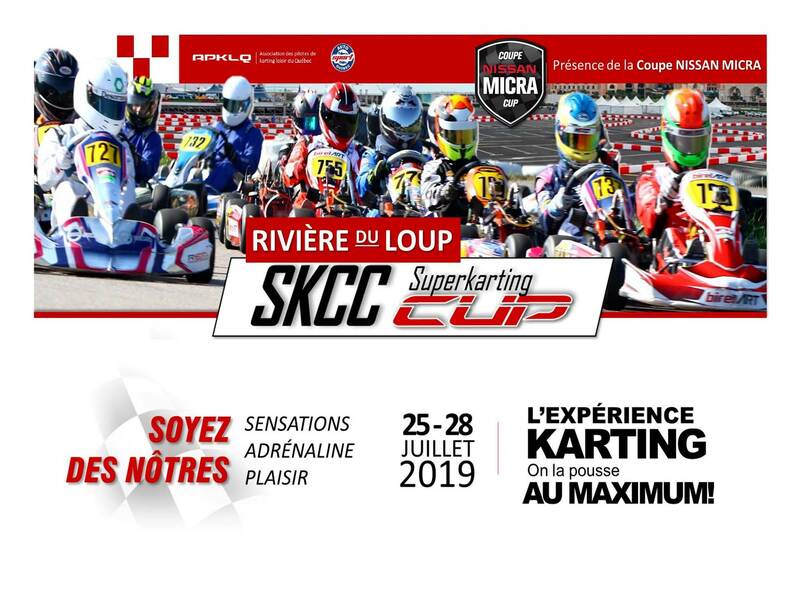 Beyond the races and the high-level competition, the event will offer visitors the SKCC Space to make it a family gathering event giving them access to the pits to chat with the pilots, and to be close to all racing action. 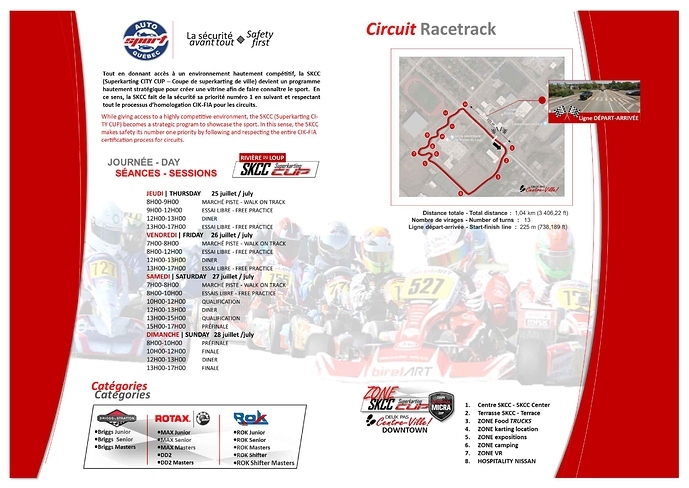 Furthermore, karting fans will have the opportunity to an exciting karting experience, thanks to an on-site racetrack made especially for the occasion. 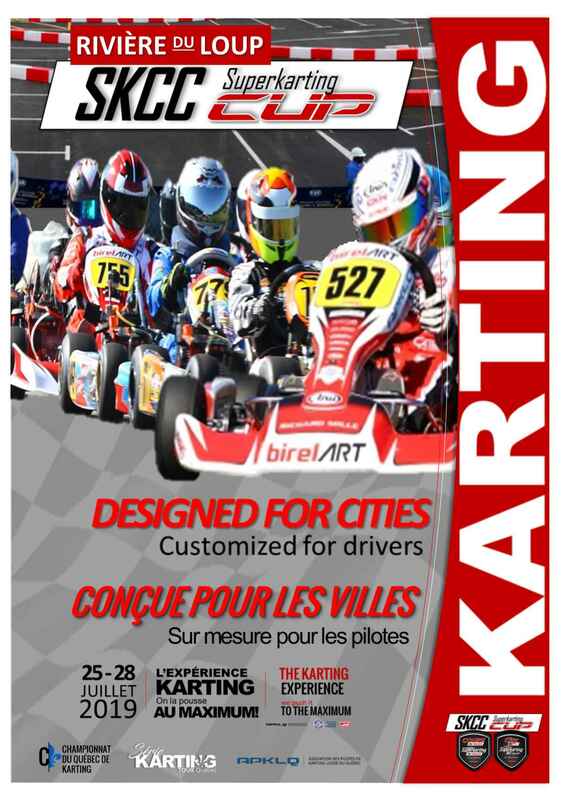 “Our goal is to democratize (widen access) to the sport and to allow new racing talents to reveal themselves”, commented Roland Voyer, co-organizer of the event. 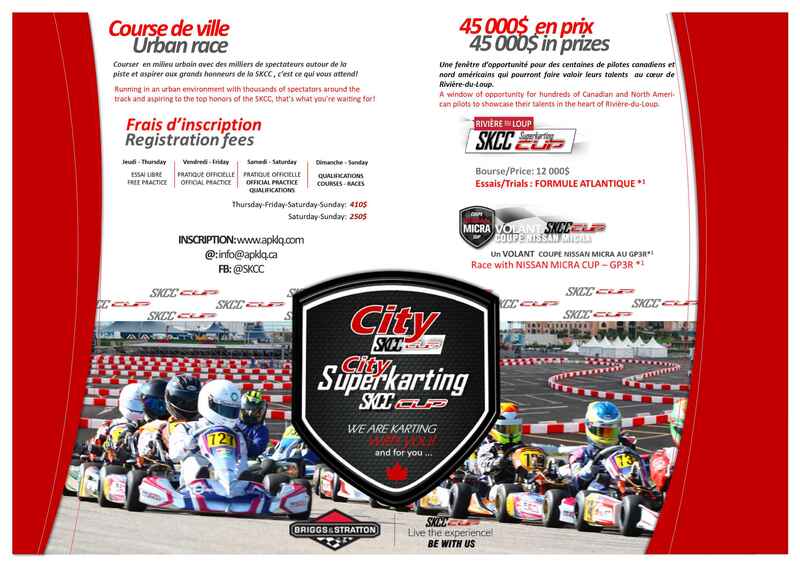 Let’s also highlight that this edition of the Rivière-du-Loup Street Super Karting Cup will be eco-responsible with recycling zones in order to recycle wastes and tires. Trees will also be planted to compensate for carbon emissions. As a priority to the event organizers, exceptional attention will be provided to safety measures to ensure security of both pilots and racing fans. Organizer expect 10 000 visitors during the week-end of competitions. I like. We need more street races!